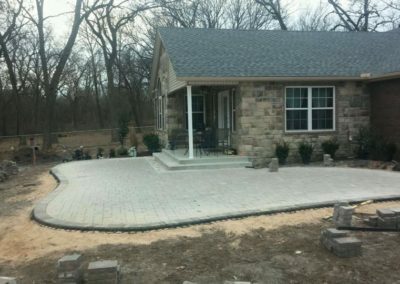 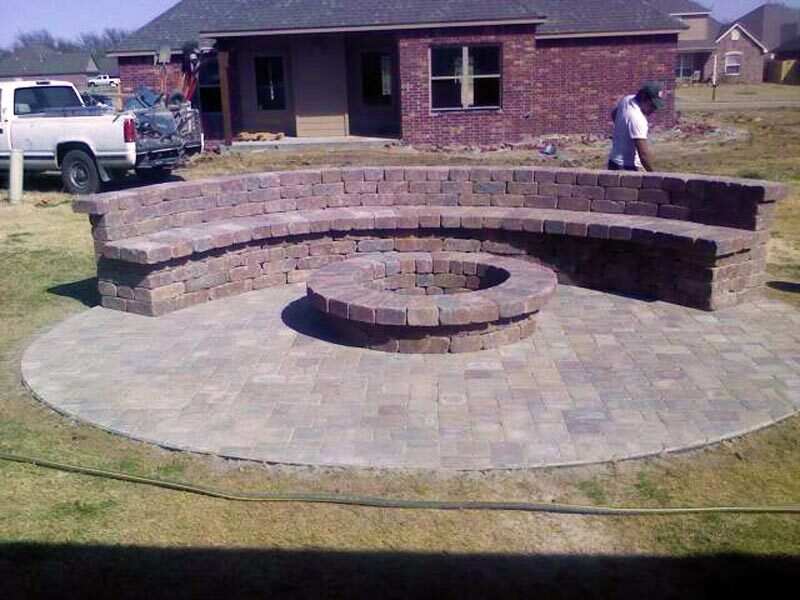 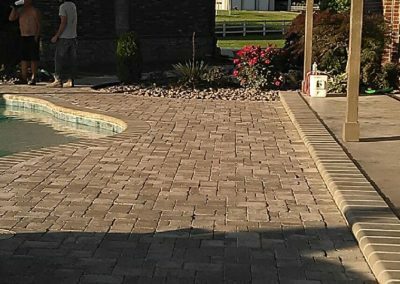 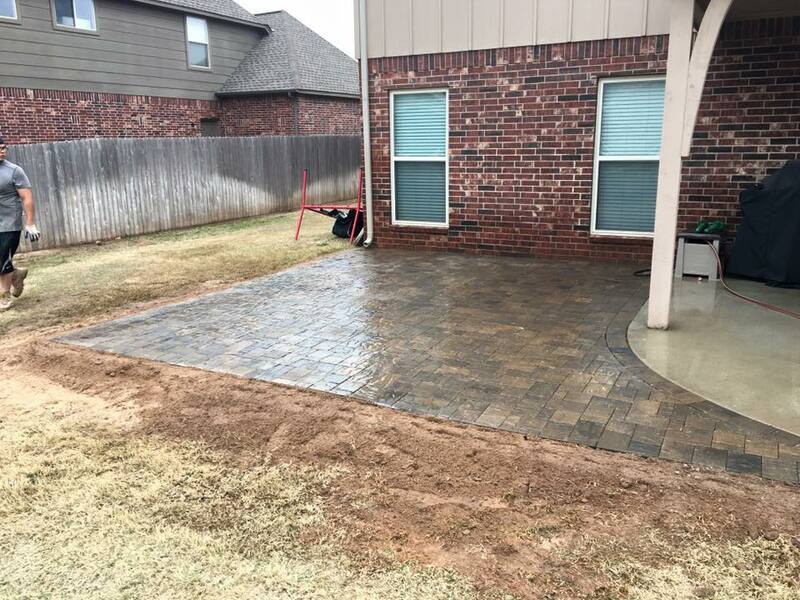 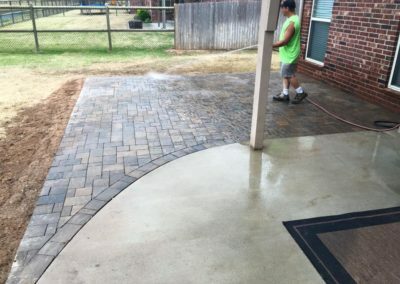 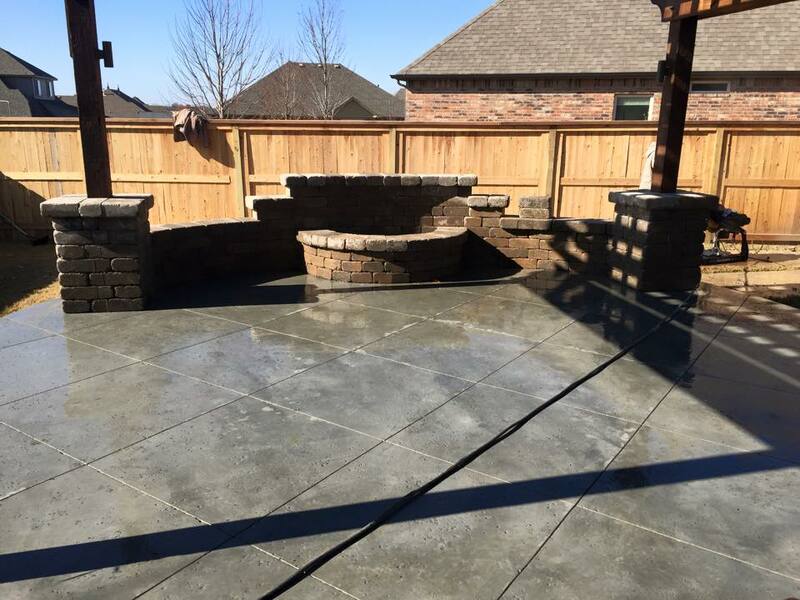 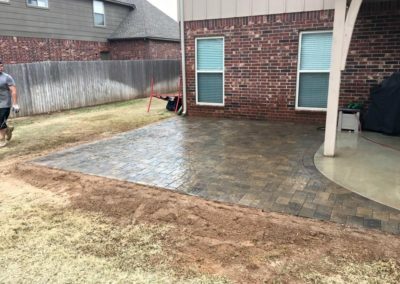 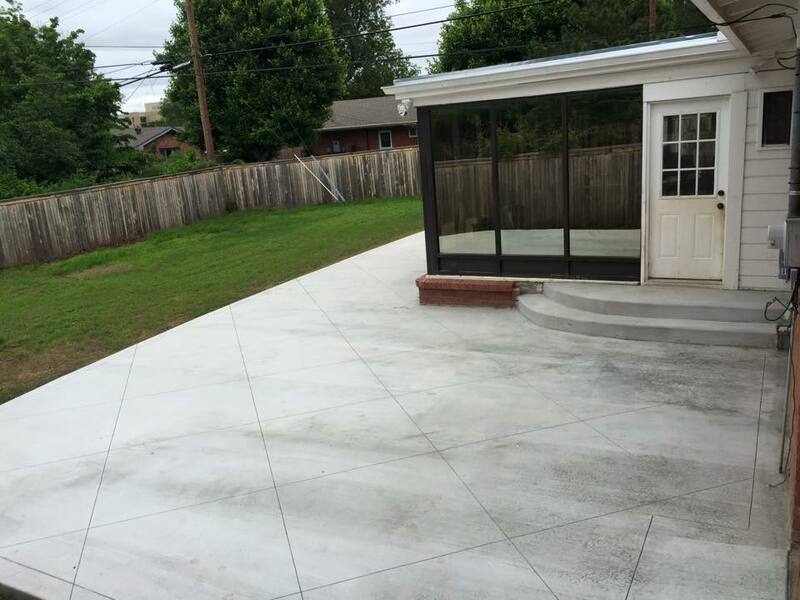 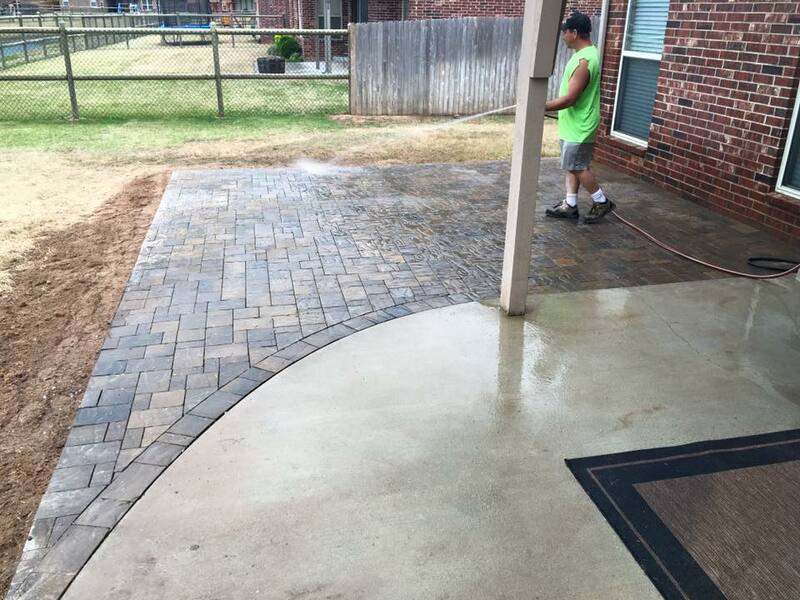 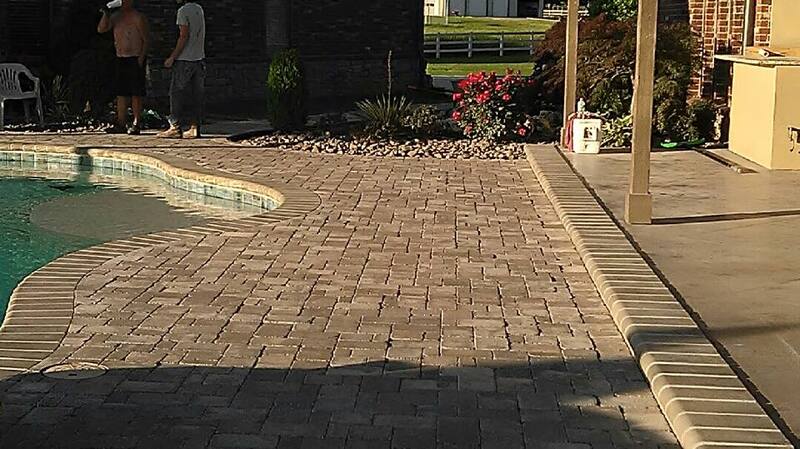 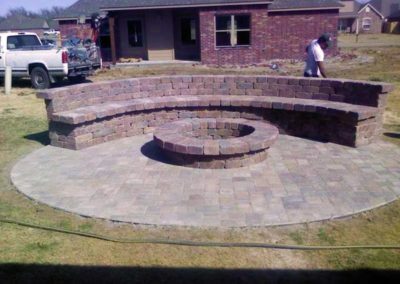 We are your contractor for custom concrete or paver patios in Tulsa. 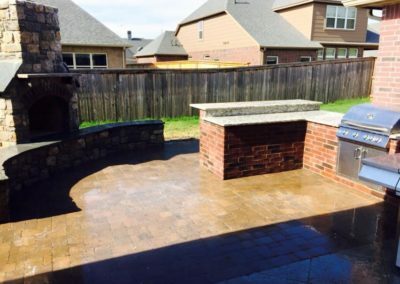 …And the resale value of your home. 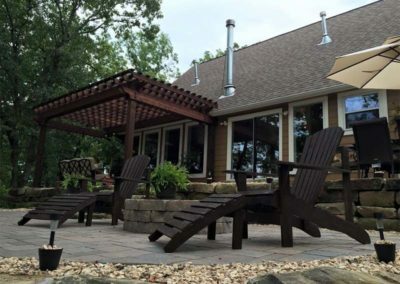 Realtor.com’s Home Crush survey shows 54% of women, and 46% of men say “outdoor living spaces make them fall in love with real estate” (the most popular feature by both sexes). 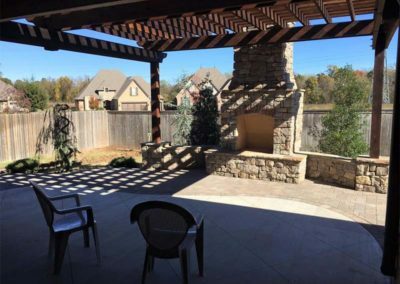 With the addition of a simple patio & fire pit – or custom detached pavilion – you create a gathering place right outside your back door which creates an instant “get-away” to enjoy with your significant other, friends and family members. 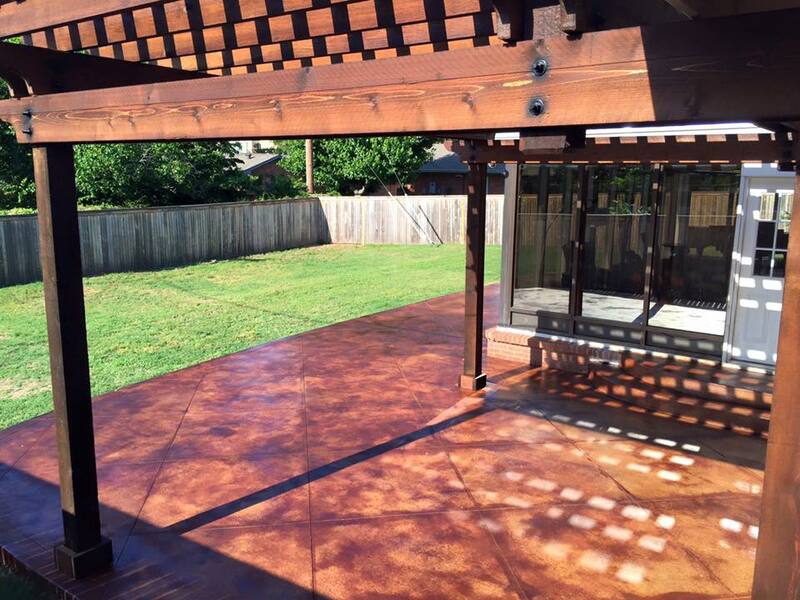 We build concrete patios with stain and finish design options. 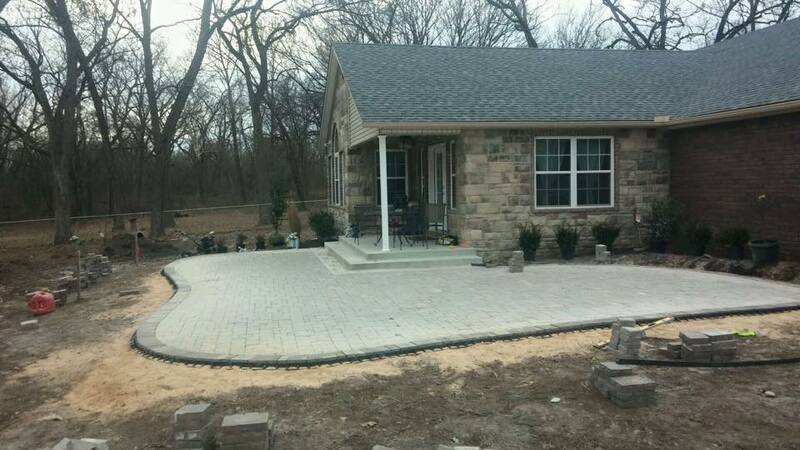 We also build paver patios with unlimited options in terms of size, style and layout. 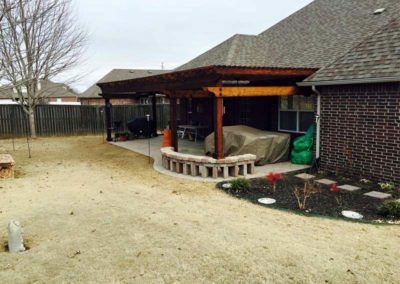 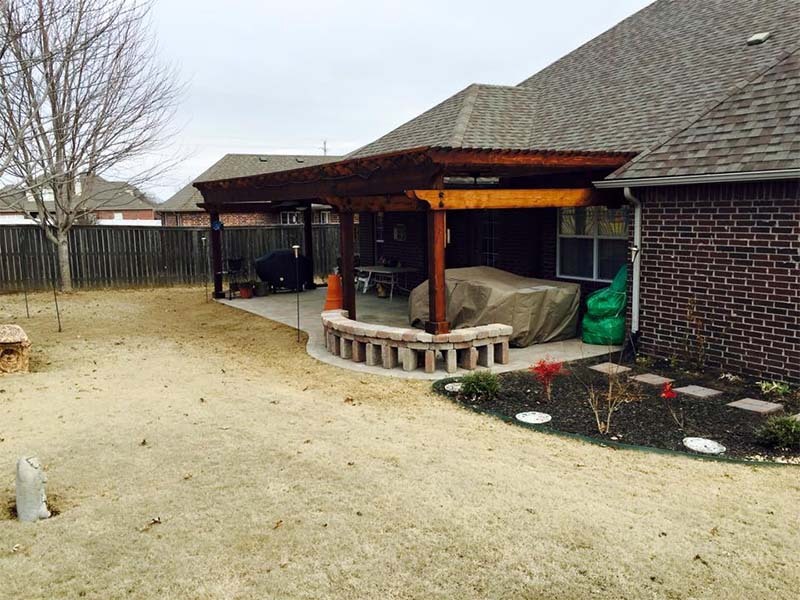 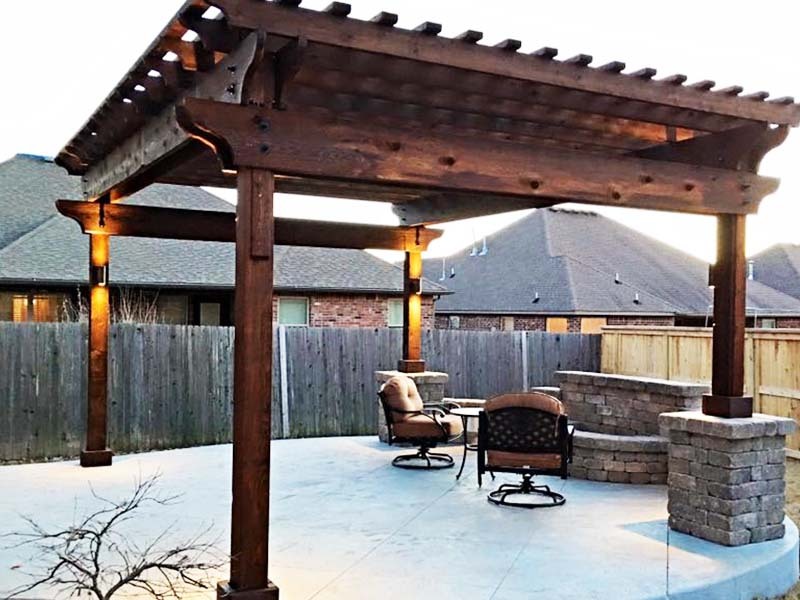 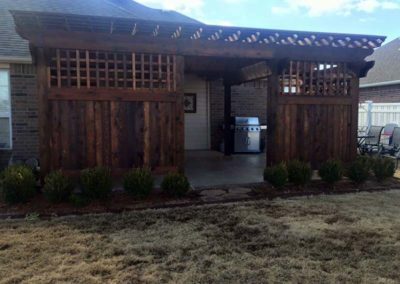 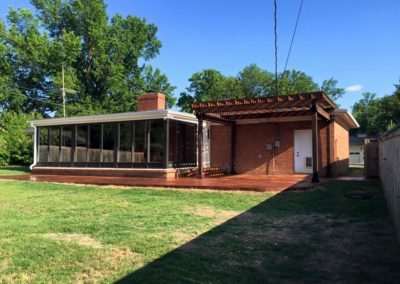 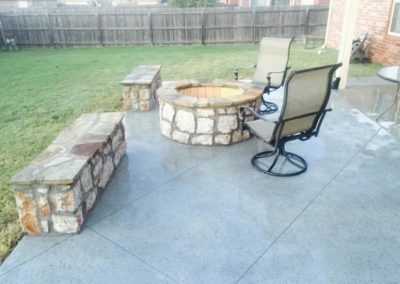 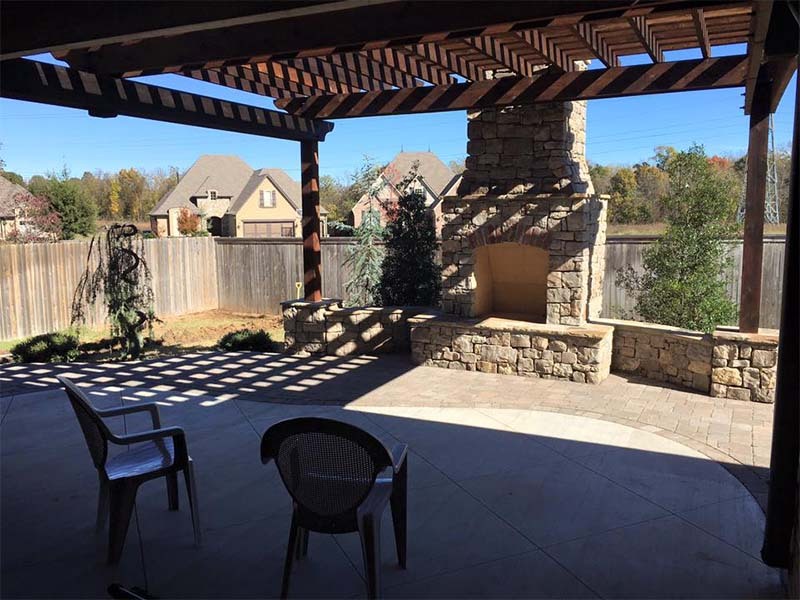 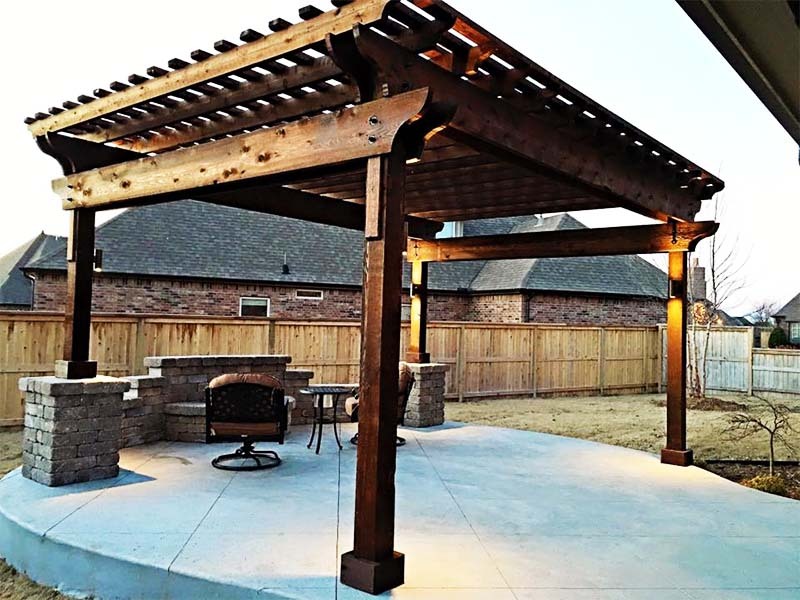 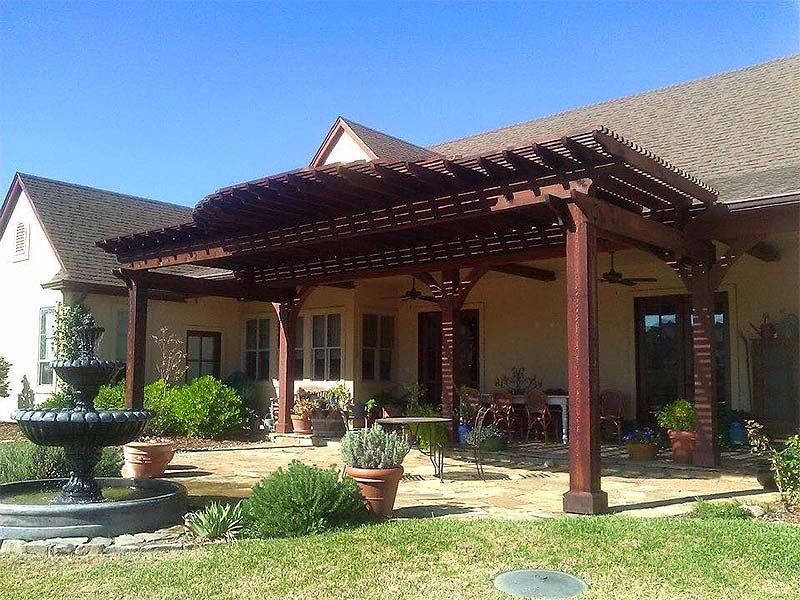 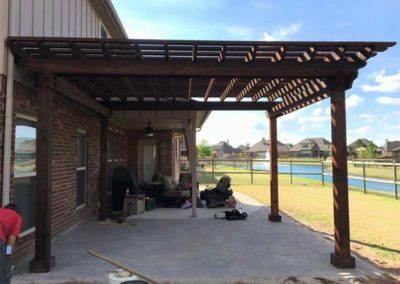 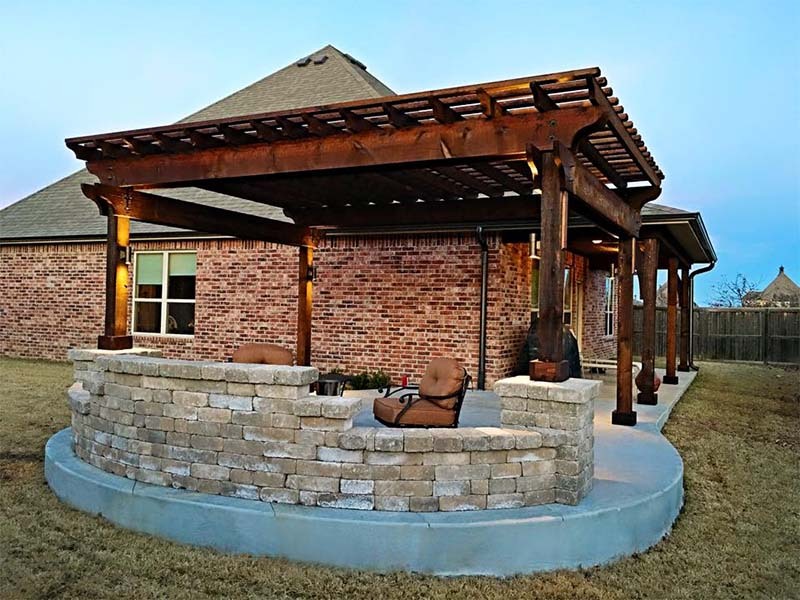 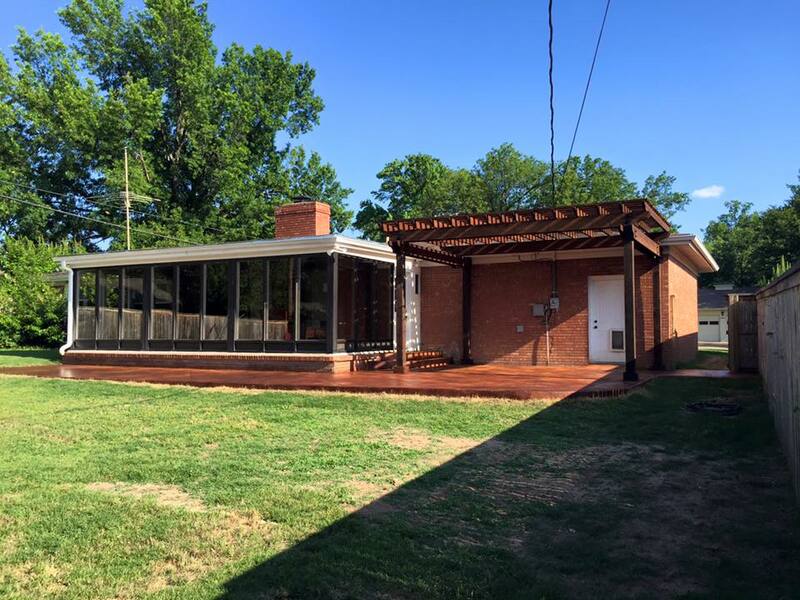 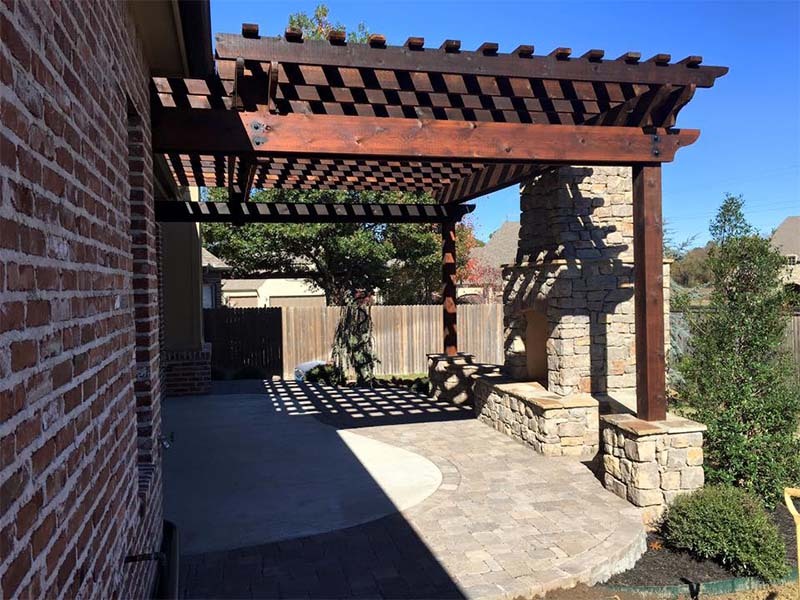 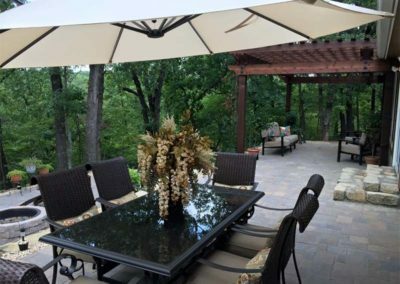 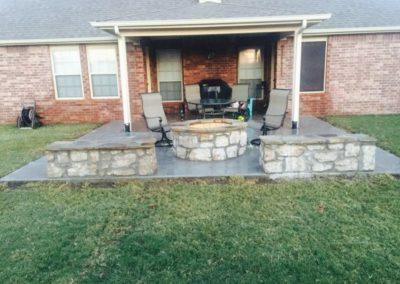 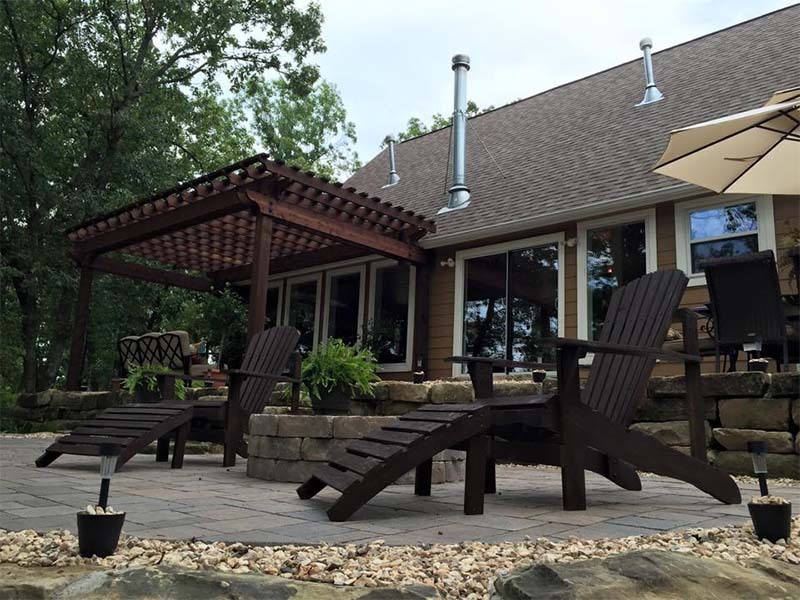 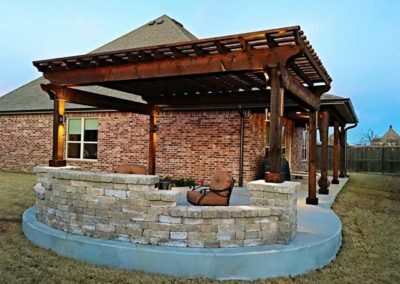 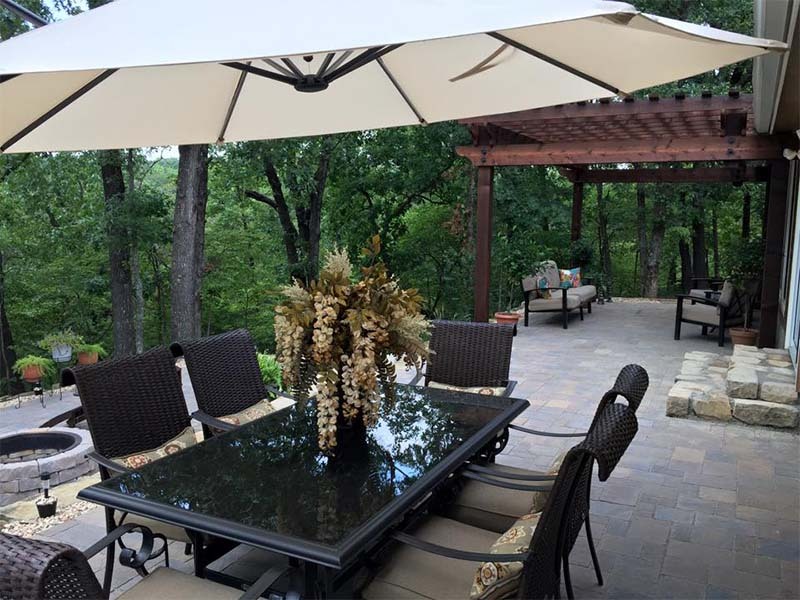 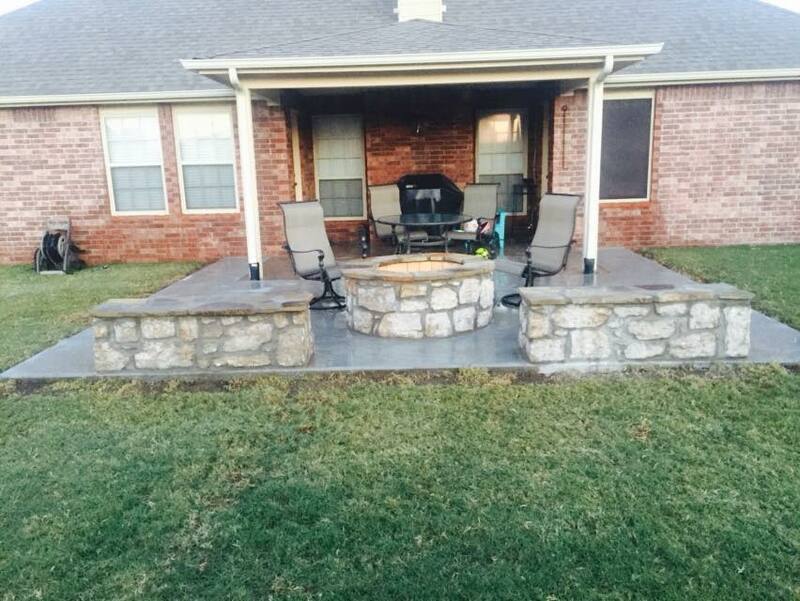 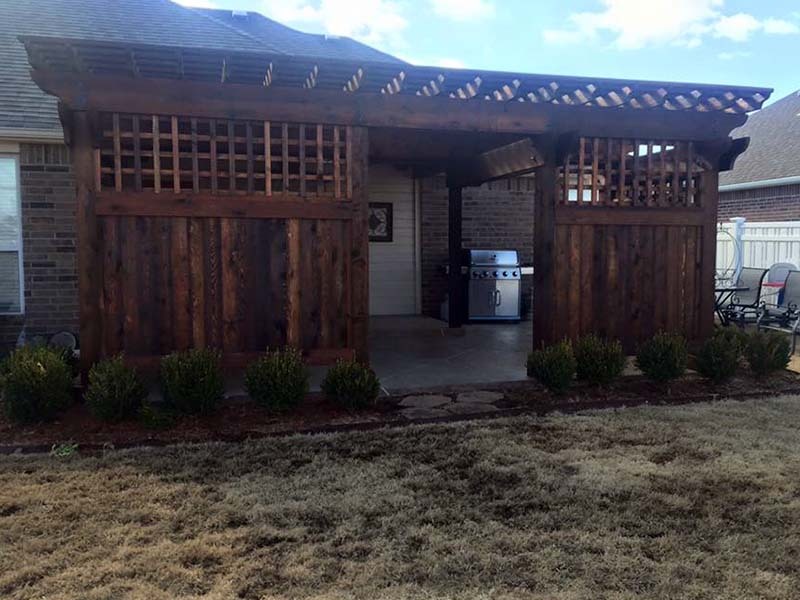 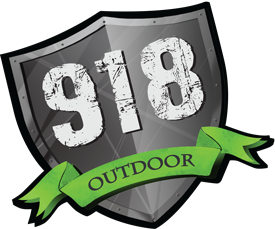 We offer residential and commercial construction for patios in Tulsa. 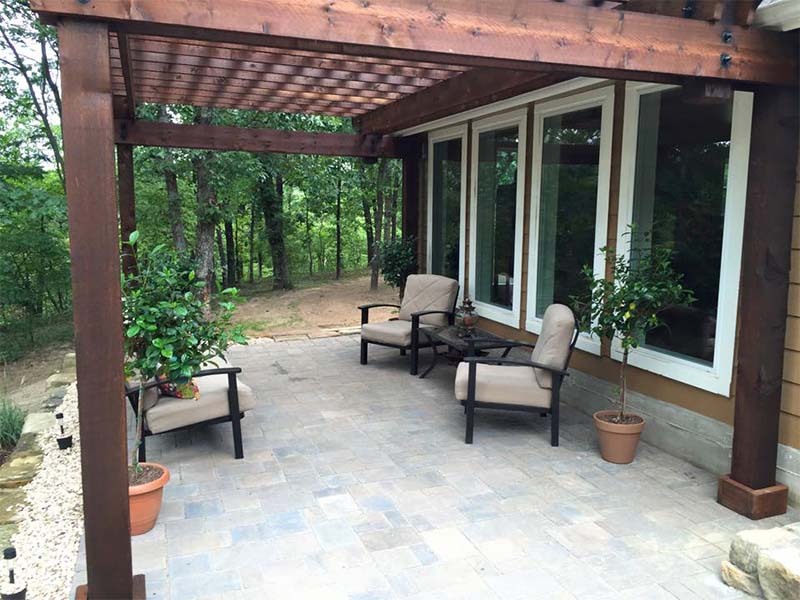 A concrete patio offers design options not available with a wood deck. 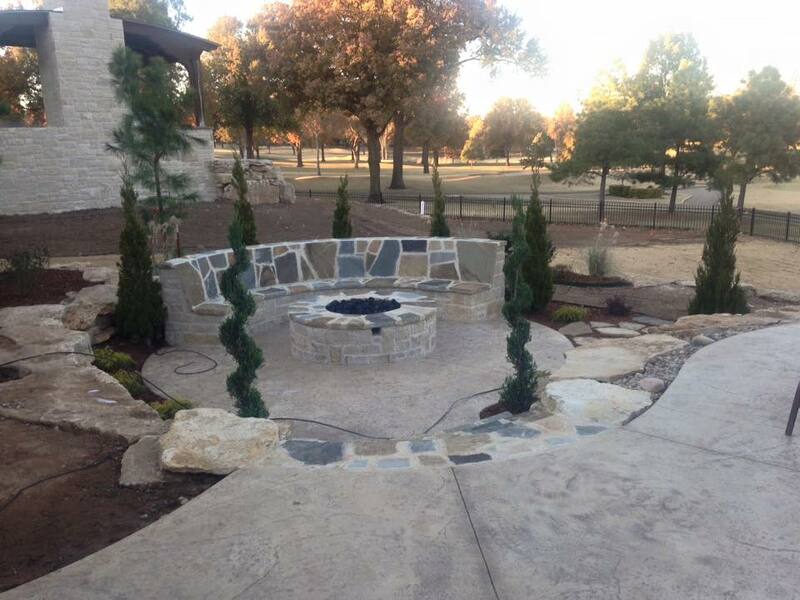 Concrete can be formed into nearly any shape and can be designed to complement your outdoor landscape plan. 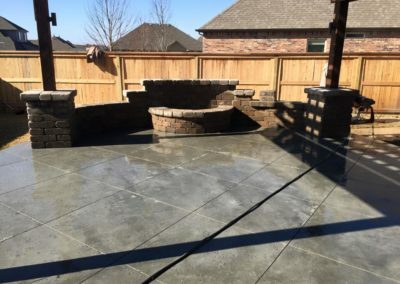 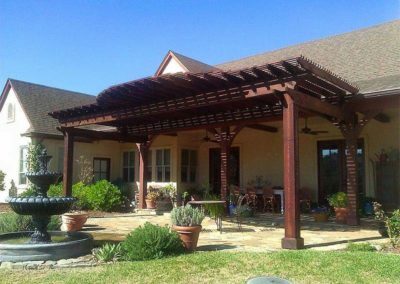 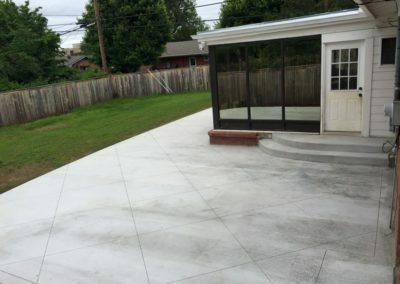 Your patio can be designed and constructed using a variety of decorative techniques including: stained concrete, colored concrete, stamped concrete, stone finish options and more. 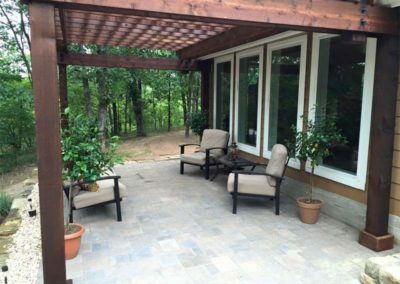 Paver patios offer an affordable patio option with unlimited design options. 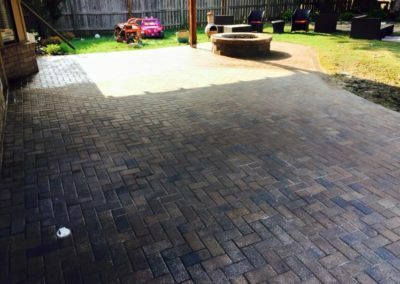 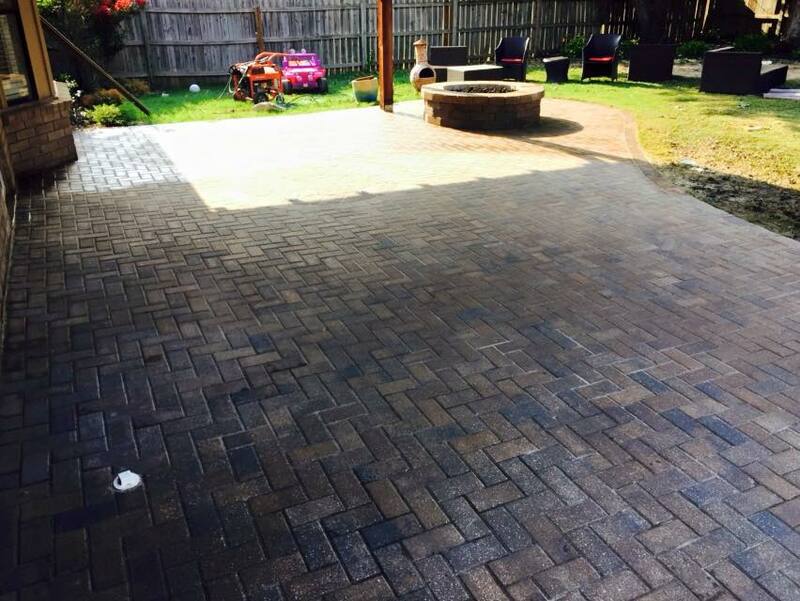 Varying colors of pavers can be arranged to form a completely unique design, and they are are very easily repaired if need be. 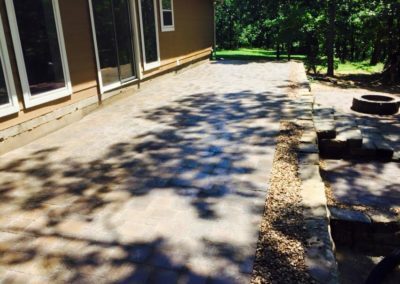 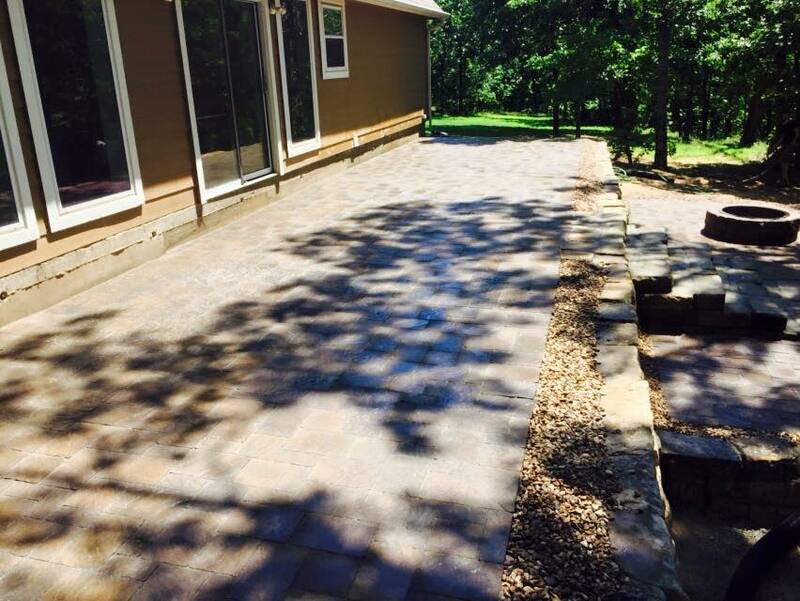 Below are a few of our patio projects.